57 L/70, which achieved 200 rpm and was offered in was available in single, twin and quad mountings, a single mounting weighing 6,400kg. It entered ser- Early ZIF-31 versions were air-cooled, but the later vice with the Swedish Navy in the 1970s. 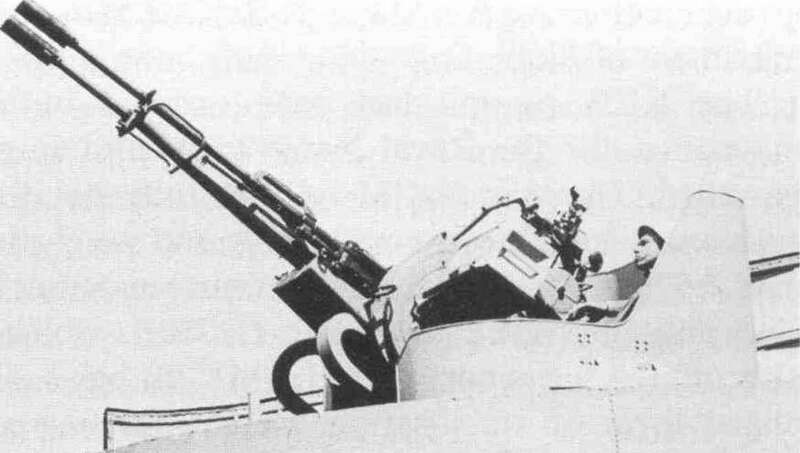 The current version of the gun, the SAK 57 L/70 around 25,000kg. The ZIF-31 was produced by Mk 2, entered service in the mid-1980s. This has the China as the Type 66; a water-cooled version of this rate of fire increased to 220 rpm and comes in a sin- was designated Type 77.
and money was spent in developing fast-firing, high-velocity automatic cannon in larger calibres, intended to make the best use of the new VT or proximity fuze, which was at that time too large to be used with 40mm shells. 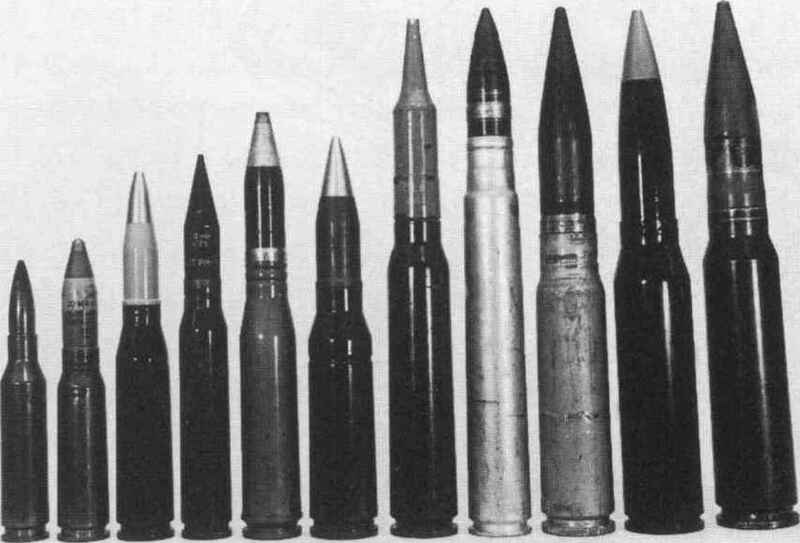 The most successful of these was the twin 3" L70 mounting which was produced in two versions -American and British - using the same high-velocity 76 X 669R ammunition. This should not be confused with the earlier 3" L50, a less sophisticated weapon firing a less powerful 76 X 585R cartridge. The L70 only saw RN service in the three Tiger class cruisers, although the British mounting was also fitted as the main gun armament in some Canadian frigates. The American version, which fired at 90 rpm per barrel instead of the 60 rpm of the British mounting, proved unreliable and was little used, eventually being replaced in almost all of the ships which carried it. The Canadians persevered with their guns, which were apparently capable of being uprated to 120 rpm per barrel if required. The Russians have also developed various 76mm naval guns, the most capable of them being a single-barrel L60 weapon which fires its 76 X 545R ammunition at 120 rpm and is usually fitted to smaller warships. Unquestionably the most successful of the 3776mm calibre automatic guns is the OtoBreda 76mm L62, which fires a 76 X 636R cartridge. Originating in the early 1960s, this became immensely popular when a compact version weighing only 7,500kg was introduced in 1969. The rate of fire, initially 60 rpm, was increased to 85 rpm in the Compact and has since been boosted to 120 rpm. For anti-missile purposes a lightweight (5.25kg instead of 6.3kg), high-velocity (1,250 m/s instead of 915 m/s) AMARTOF proximity-fuzed shell is being developed, able to reach a target 3km away in less than three seconds. 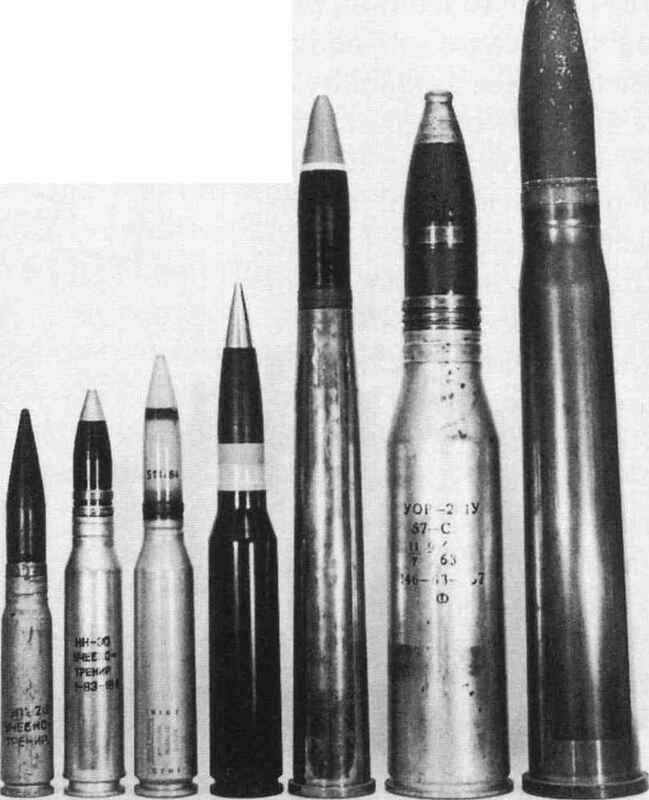 Mention should also be made of an unusual weapon, the Bofors 76mm, which used the same ammunition as the USN's 3" L50. This was intended for surface fire only and therefore featured a low (30°) maximum angle of elevation and a modest (30 rpm) rate of fire. The benefits were an extremely compact, low-profile mounting which weighed only 6,500kg despite having a 6mm-thick steel gunhouse. It was fitted to small patrol craft. For the sake of completeness, significant larger naval fully automatic guns are listed below. The rates of fire given are per barrel; mountings are single-barrel unless otherwise stated.